WARWICK — Here is a story explaining why shelter folks do what they do. It begins in November 2007. 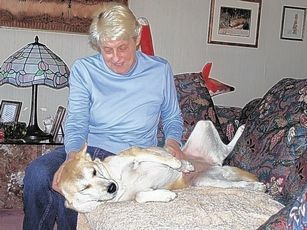 Honey, a Korean Jindo dog, belonged to a Warwick family who couldn’t control her. Shari Forst of Canine Case Squad dog training volunteered to help socialize and train Honey. 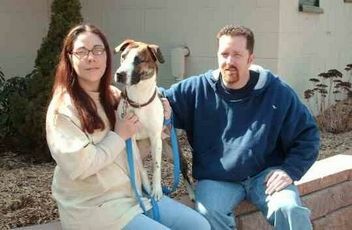 After almost a year of working with Shari and shelter staff, Honey was finally ready for adoption. Eva Hanks of Manhattan was ready for another dog. The 82-year-old law professor at Cardozo School of Law at Yeshiva University had lost her beloved Jindo dog, Tracy, a few months before. “I’ve had dogs for 50 years, and I knew I couldn’t really be without,” she said. Hanks Googled Jindo rescues and found Honey’s posting on Petfinder.com. MIDDLETOWN — It had been a couple of months since Spc. Theodore Fotopoulos had seen his puppy, Maddy. Thanks to Record readers’ donations to the SPCA International’s Operation Baghdad Pups program, Maddy has begun a new life at Fotopoulos’ home in Middletown. Fotopoulos adopted puppy Maddy in Iraq, while stationed there with the 206th Military Police Company’s New York State Army National Guard Unit. While already taking care of three other stray dogs, his unit took in Maddy and her siblings when Iraqi policemen handed them over in a potato sack. It wasn’t easy caring for dogs in a country that has no canine population control, no spay/neuter programs, no humane societies and no dog food. The soldiers took turns watching over their dogs, protecting them from the unthinkable. Wow. When I wrote the March 12 Shelter Tails, “Troops hope to bring canine pals home from Iraq,” I prayed I would have an update to this great story soon. I never dreamed it would bring tears to my eyes. The story told of Spc. Theodore Fotopoulis of Middletown and his New York state Army National Guard Unit, the 206th Military Police Company, stationed in Iraq. 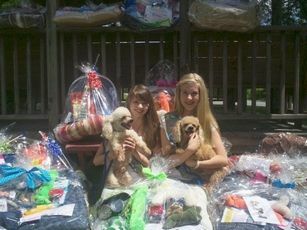 They had befriended and cared for some puppies and dogs who in turn boosted their morale, giving them a sense of home. The soldiers wanted to return the favor, so they adopted the canines. With help from Operation Baghdad Pups, a campaign was set in motion to help bring the pups here by the time the unit comes home in June. 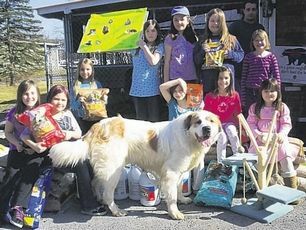 With $4,000 raised at that point, they needed about $4,000 more to cover the cost of crates and transportation. The day after this story ran in Shelter Tails, I received a generous offer from Shari Forst, a canine behaviorist and trainer of Canine Case Squad Inc. in Orange County. In three short days, 1-year-old Nicolette went from being a stray dog with an agonizing broken leg to recovering from expensive surgery and the hope of finding a loving home. A chain reaction of caring people sprang into action the morning of March 7 after Mamakating Dog Control brought the pit bull mix to the Sullivan County SPCA. “She came to us with a set of X-rays which showed a displaced fracture of the right hind femur,” said shelter Vice President Manon Fortier. “A displaced fracture is one where the two ends of the broken bone don’t meet, and in Nicolette’s case, they didn’t appear to even be in the same ZIP code! By the end of the day, fliers were being distributed to solicit donations to cover the cost of Nicolette’s surgery. A shelter board member remembered a recent Shelter Tails about a dog with a similar injury being treated by the Veterinary Specialty Center of the Hudson Valley at a discount.